Robert Allen Cox, 58, passed away peacefully in his residence on Saturday, April 13, 2019. He was born December 7, 1960 in Germantown, Ohio to the late H.B. and Mattie Cox. Bobby was a very jovial spirited, kind and loving son, father and brother. 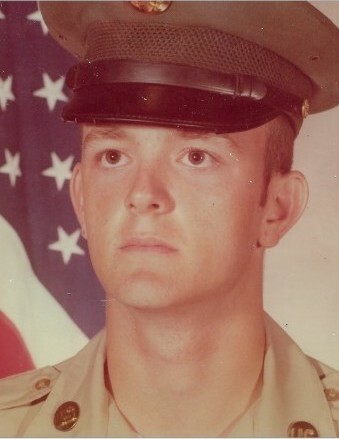 He loved his family and was a veteran of the United States Army. Bobby had a love for the simple things in life and was an artist in music and drawing. He was a master guitarist with an incredible amount of talent. He was truly loved by his family. He is survived by two sons, Kyle Rigby and James Cox; brothers, Roger C. Cox, Danny D. Cox, Howard F. Cox, Terry L. Cox and Edward D. Cox; sisters, Claudette Wilson and Jean (Jeff) Robinson. Bobby was preceded in death by his parents, H.B. and Mattie Cox; one daughter, Shannon M. Cox; brother, Jeff D. Cox; and sisters, Connie M. Hicks and Mary E. (Dale) Watts. Committal will take place Thursday, April 25, 2019 at 2:30 p.m. at the Dayton National Cemetery with Military Honors. Arrangements entrusted to the care of the Jerry W. Kinley Funeral Home. There's still time to send flowers to the Committal with Military Honors at the Dayton National Cemetery at 2:30 PM on April 25, 2019.